The SRD System is a water conveyance system consisting of more than 35 miles of unlined, open channel canals, nearly 4½ miles of underground pipelines, three (3) pumping stations, and five (5) automatic level control gates. 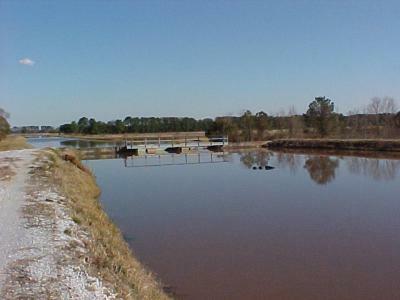 Water from the Sabine River gravity flows from the River for approximately 2 miles to pump station one (1). The purpose of the SRD System is to divert surface water from the Sabine River to supply Agricultural, Municipal, and Industrial water needs in Southwest Louisiana, and reduce Southwest Louisiana's dependence on the Chicot Aquifer.